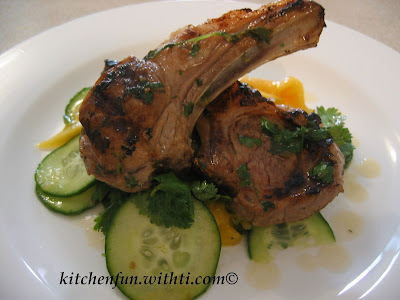 This is beautiful and delicious dish for me, I usually marinated with rosemary or just salt and pepper, but i started to fell bored with those simple ingredients, so i browse my favorite recipe website and found this lovely thai lamb cutlets recipe, but i created the salad recipe my self. 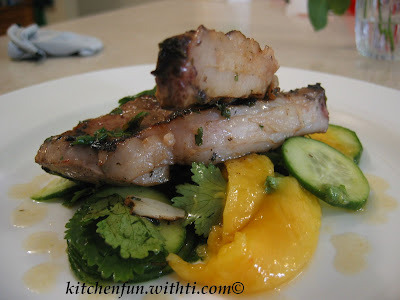 Place the lamb cutlets in a large ceramic dish in a single layer. 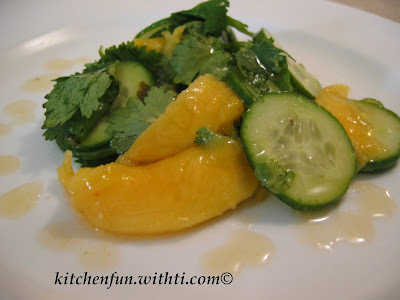 Whisk together the lime juice, fish sauce, sugar, chilli, garlic and coriander until the sugar dissolves. Pour half of the lime dressing over the lamb and turn to coat evenly. Cover with plastic wrap and refrigerate for 1/2 hour or until required. Heat a chargrill over a medium-high heat. Add the lamb, and cook for 3 minutes each side or until cooked to your liking. 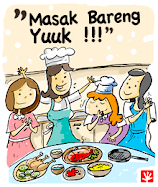 Happy cook: Lamb cutlets has amazing taste, isn't it?